The Viseum Intelligent Moving Camera is the world’s best CCTV security and surveillance camera and the world’s only long-range 360° analytics Panoramic CCTV Camera. It is the world’s highest quality security camera and was invented as the solution to the many problems with security. 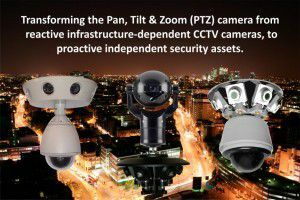 It uses high-quality wide contextual view cameras and high-end PTZ Cameras together with Intelligent Video Analytics Software, to automatically monitor large complex and challenging environments. 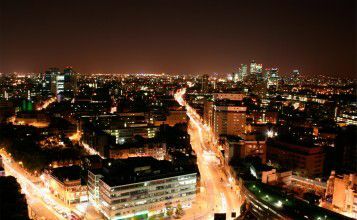 These high-end security cameras are built to the best quality standards, they do not require CCTV operators to operate, and they optimise people to respond. This internationally patented high-quality CCTV Innovation is now dominating new markets by bridging the very large gaps between, and solving the many intrinsic problems with, standalone CCTV security systems, manned CCTV surveillance services, police and other manned guarding patrols. 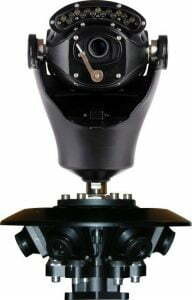 This intelligent CCTV camera is the only Intelligent PTZ (pan, tilt and zoom) camera system in the world to automatically detect, confirm, and follow incidents in all directions at the same time, automatically control a PTZ Camera to zoom into and automatically confirm the incident, automatically follow the action, capture high-quality close-up evidence of even before the alarm is raised, and then automatically report it for rapid response and investigations. This intelligent surveillance camera is now available internationally and has proven so successful for UK export, all international security professionals looking for high-end “CCTV Cameras UK” now come to Viseum UK. 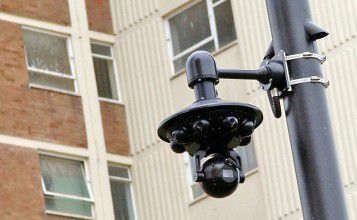 Extended Dual Evidence – The intelligent CCTV camera delivers extended dual evidence of incidents, and not only of the crime itself but also the lead up to it and after it. 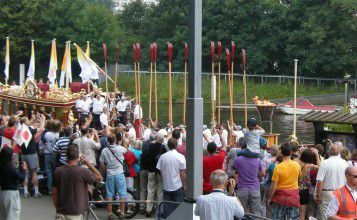 Re-creating the incident provides the customer with valuable information; how and why the incident started, who else witnessed it, where the suspect(s) came and left, and how to mitigate further incidents. Low Light – Viseum’s multi-camera system best supports environments that suffer low light. It’s high-quality fixed and moving camera lenses with auto-zoom are designed to optimise the available ambient light. Low Bandwidth Communications – Viseum’s communications system are designed to transmit the highest quality video and the largest amounts of situational awareness information, over the lowest available bandwidth. As the much-needed solution for public safety law enforcement, the Viseum Panoramic CCTV Camera is now encouraging many governments to regulate their CCTV. 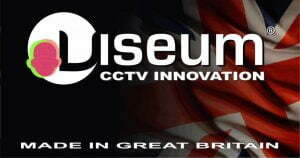 Patents have been granted globally for the invention of the Viseum Panoramic CCTV Camera, and in demonstrating this quality regulation, any other brand of camera that looks like a Viseum is seen as an illegal unregulated copy that compromises a nation’s public safety.